There’s this enchanting, smoldering, riveting, exhilarating and enigmatic feeling I have for this guy hubda, glazba, muziek, zene, muzik, tonlist, music, coel , musica, musique. Actually, I just spelt “music” in ten different languages. (You thought I was going to gist you about a guy right? *smiling* keep reading, you’ll find this even more interesting). “Which one is this again! There are way too many rules. They said don’t listen to ungodly song, I tried so hard and happily succeeded (after sooo much struggle) and now just when I was settling down and feeling good with my achievement, they bring this ‘revelation’ again”. 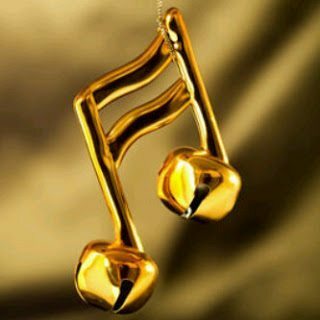 According to mdictionary.com, music is an art of sound in time that expresses ideas and emotions in significant forms through the elements of rhythm, melody, harmony and colour. Highlighting the word significant this implies that music, expresses a meaning, has a meaning be it hidden or not, it has the capability to influence. More so, anything with significance is never produced by mere chance, but for a purpose. The kind of music we listen to affects our personality and who we eventually become” says a music lover. Scientific studies have proven that music relentlessly affects our psyche and our behaviour is dependent on the kind of music we listen to. But his splendor got into his head and he became very prideful, wanting to overthrow GOD , so the ‘Big boss’ displaced him from the heavens down to the lowest depths. When Lucifer the fallen angel was displaced, his talents where not ripped off him and instead of using his talents for what it was created for, he used and still uses them to lure human into all manners of sin. So that they will fall into the unpleasant, darkest, lowest depths like him. Back to the significant characteristic of music, Music is not merely produced; this implies that every musical piece has its purpose. Music was originally created to glorify God, but when the music leader Lucifer rebelled, he started creating his music with a contradicting purpose. Now, a music piece can only have one of these two purposes, which is to glorify God or not to glorify God. No matter how enchanting music sounds, it can either be from the pure source or the evil source. Although the statement took me by surprise, I knew there was something deep about the statement “There is a spirit behind every song” so I took note of this statement and told God to explain this revelation to me. One interesting thing about God is that he never condemns you. He reveals and explains things to you in bits until you grasps the whole picture and leaves you to decide for yourself what path to take. Now it’s crystal clear to me that the statement is true. Obedience doesn’t come naturally to human so don’t be too hard on yourself to follow the ‘rule’ Just ask God, to reveal to you the truth about music and to help you love the truth. When you love something you’ll follow it without thinking of the opportunity cost. This is a simple secret on how to be obedient. Oh o! This post is getting too long so I’ll highlight what I have discovered . 2. The personality of the artist. Although God can use whomever He pleases, if you’re observant, you’ll know an ungodly artist who is singing a godly song for the money. 4. What spirit is behind the song? On the long run it’s either God’s spirit or the devils. E.g. if the spirit of peace is released from a song then it’s of God. Job 32:8 says the spirit of God in man gives man intelligence. An artist who worships the devil will release a song with an evil spirit. The most effective way to discern the spirit behind a song is to be in constant fellowship with the Holy Spirit (The spirit of truth). With the Holy Spirit, in you, you’ll have a caution in your spirit to repel any song with an evil spirit. 5. Lastly the choice is yours. If you choose to become significant and fulfill the purpose for which you were created, you’ll listen to things that will aid your desire. The Holy Spirit can only guide you, not force you. You can listen to godly gospel songs all day every day on Praiseworld Radio http://www.praiseworldradio.com an online gospel radio station. You can also download gospel songs for FREE on the official website. I’ll love you to share your perspective on music, do you love music? What type of music do you listen to? How do you discern what type of music to listen to?